Earlier this week, Jason Weigandt and myself dove into a conversation about the evolution of X Games. You can listen to it here or find it on the Racer X Podcast Network wherever you listen to podcasts. In our conversation, we talked about the connection between X Games moto athletes and the regular motocross and supercross races we generally cover. While freestyle as a sport, and X Games specifically, no longer carry as close of a connection to racing, the roots are still there. From OG freestyle guys like Brian Deegan and Mike Metzger to 2018 X Games competitors like Axell Hodges, Colby Raha, and Tyler Bereman, they all have appearances—and in some cases titles—at the AMA Amateur National Motocross Championship at Loretta Lynn’s. Before we really dive in, we have to mention the ultimate racer/freestyle connector, Travis Pastrana. In 1999, at X Games 5, Moto X Freestyle was introduced, and Pastrana blew everyone’s minds by dominating the FMX event, punctuating it by jumping his motorcycle into the San Francisco Bay. Crazily enough, Pastrana, who was Suzuki’s top prospect in motocross at the time, went to Loretta’s a few weeks later and won the 125 A and 125 250/Open A Championships. In all, Pastrana won five titles at Loretta’s, and also collected 17 medals at XG, including nine gold in Moto X events—the most in XG history. After the success of the 1999 event, X Games would eventually add more Moto X events like Step Up, SuperMoto, Best Trick, Speed & Style, Enduro X, Best Whip and newer events like QuarterPipe High Air. Heck, they even had their own version of supercross for a few years—Super X. Everyone from James Stewart to Ricky Carmichael to Jeremy McGrath to Mike Brown to our own David Pingree have competed and won medals at the annual action sports event. But those guys were just supercross and motocross riders who briefly competed at XG when the right event came around that fit their skills. They were not full-time freestyle or action sports stars. So, for the sake of not leaving off 100 names, let’s focus on the more action sports centered stars who competed at the Ranch. Let’s start with the Godfather of freestyle motocross himself, Mike Metzger. Although he has just one appearance at the Ranch, Metzger did win a title. Riding a Suzuki in the 1991 85 (14-15) Modified and Stock classes, Metzger captured the overall in the Mod class over Craig Decker and Casey Johnson. He’d finished third to Decker and Johnson in the Stock class. Metzger made his debut at XG in 2000, finishing 11th in Step Up. He’d win his first gold two years later in Freestyle and has five total medals. His back-to-back backflips in the early days of the stunt still rank as one of the biggest moments in X Games FMX history. While he has a 125 AMA Supercross win to this name, Brian Deegan never did get a win at Loretta’s. Deegan competed at Loretta’s from 1988-1994 and finished second twice (1991 and ’94). Just last year, Deegan’s son grabbed his first Loretta’s title, and Brian told us it was an amazing moment to finally get a number-one plate in the family. Brian said he was usually matched up with Kevin Windham in his days at the Ranch, and Windham was basically unbeatable down there. After he left pro racing, Deegan co-founded the Metal Mulisha and earned 15 total medals at X Games. 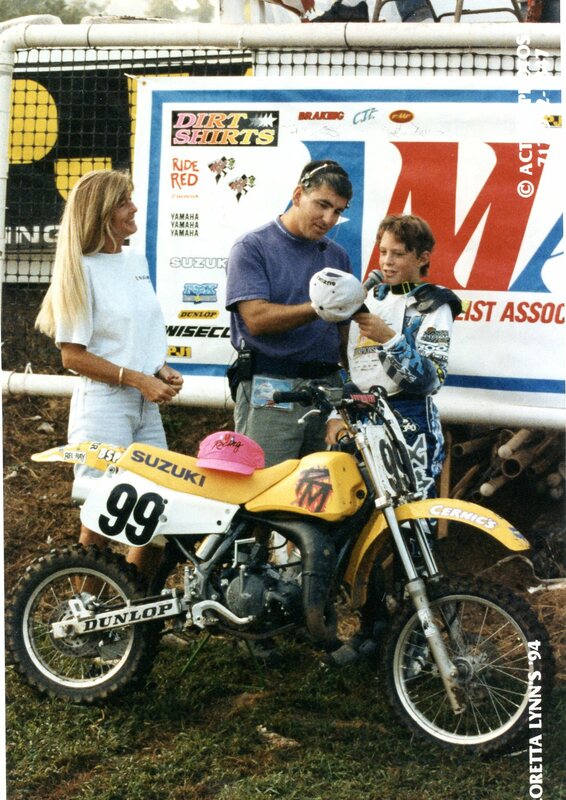 Ronnie Renner is the most decorated athlete in Step Up history, but before that, he competed at Loretta’s. The Florida native raced from 1986 to 1997—he returned in 2012 in 250 A—and scored a best-finish of 6th. After his racing career, Renner moved on to a successful career in freeriding and freestyle. At XG, he’s dominated Step Up. He’s won 7 gold and has 12 total medals across multiple events. At 41, Renner is still going strong and finished fourth in Step Up at XG Minneapolis 2018. One guy who went head-to-head with Renner in Step Up for years was Tommy Clowers. The California native won four gold medals in Step Up and earned eight medals total at XG, in Step Up, Best Trick, and Freestyle. At one point, though, Clowers was a very accomplished racer, winning the 250 A Modified class in 1991 over Gene Naumec and Scott Sheak. Clowers turned pro later that year and competed in supercross and motocross through the 1999 season before finding a home in FMX. In the same era as Clowers, “Mad” Mike Jones found a home at X Games following some success in supercross and arenacross. Jones has two X Games medals in Best Trick, a gold and a silver. Jones spent four years racing at Loretta’s, his best finish being third in the 250 A class in 1984. Brian Deegan and Racer X's own, Davey Coombs. 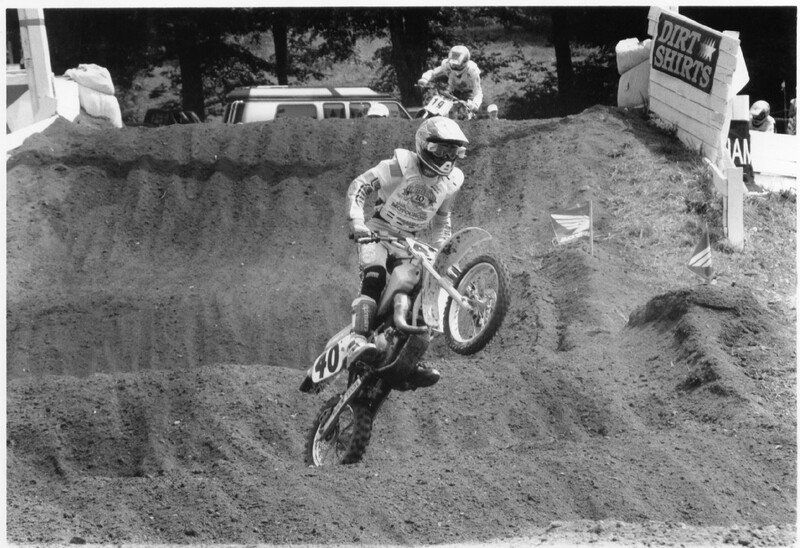 Before he was collecting Freestyle and Best Trick medals at XG, “Cowboy” Kenny Bartram was racing Loretta’s. He competed at Loretta’s in 1998 and 1999 and his best finish was a 17th in 125 A/Pro Sport. He went on to earn four medals in Best Trick and Freestyle at X Games. Last weekend at XG Minneapolis 2018, Axell Hodges, Colby Raha, and Tyler Bereman went 1-2-3 in QuarterPipe High Air. But before they were soaring some 50-feet above the ground, they were racing Loretta’s. Hodges and Bereman each won a title at the Ranch, with Hodges winning 250 C Stock in 2012 and Bereman taking College B/C (17-24) in 2010. Raha never earned a title at Loretta’s, but he did race there three times from 2000 through 2006. His best finished was 18th twice. Deep down, a dirt bike is a dirt bike. Some of the best freestyle motocross athletes got their start as racers—and the best of the best go racing at Loretta’s.